WHY THE CIVIL WAR? | AMERICAN HISTORY RULES! After the election of Abraham Lincoln (THE MOST IMPORTANT ELECTION IN AMERICAN HISTORY), seven sates seceded from the United States and created their own country – the Confederate States of America. Why did they secede? And … what caused the Civil War? You will examine the primary sources (THROUGH THEIR EYES) in Doc’s class by looking at actual secession statements, and it seems pretty cut and dry, doesn’t it? 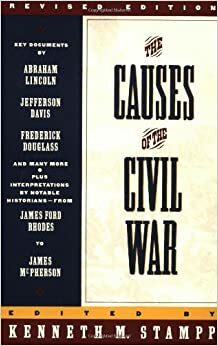 However, with all of that information still available, historians have debated over the years about the exact causes of the Civil War. Believe it or not, there is a big question that is prominent in the news today. What do the historians say? Your task is to read some brief statements from historians in the Why the Civil War? activity and examine their varying opinions. It’s a collection of statements about different historical perspectives on the coming of the war. Read each carefully, underline up to eight (8) important words, and summarize each selection in ONE TO THREE WORDS and ONE COMPLETE SENTENCE. Do the historians agree with the documents? The assignment is much easier (and more fun) if you complete it with a partner. Yup – that means talk about it!